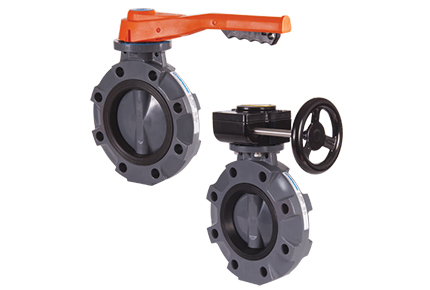 A butterfly valve consists of a circular disc or plate built with a stem through the middle or attached offset. When opened, the disc pivots 90 degrees in the valve bore, aligning with the flow, creating a nearly unrestricted flow path. 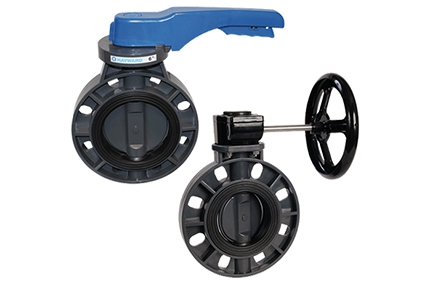 Butterfly valves operate similar to ball valves in their 90 degree rotation and allow for quick shutoff.